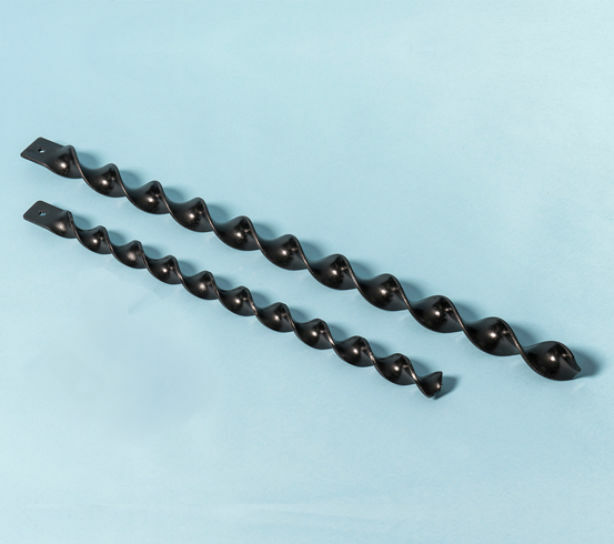 This spiral Ground-screw Tethering Kit comprises a spiral ground anchor and a large diameter eye bracket to tether a variety items such as marquees, trailers, young trees, etc. The spiral ground-screw can be inserted directly into the soil , using a sledge hammer or lump-hammer, to provide a solid anchorage point for various thethering applications. The twisted helix sets up self-rotating entry as it corkscrews into the earth. The tethering kit should be sited so that ropes or straps are at an angle of 15 to 45 degrees to the verical anchor. To remove the ground-screw insert a bar through the top aperture and unwind out.